We offer the following background and ideas for making the most of the Lenten season in your children’s ministry. Don’t miss our Lent lessons and coloring pages. Yet the excitement of Easter loses some of its significance if we focus only on the resurrection and neglect the ministry and suffering of Christ leading up to it. Celebrating a season of Lent can be just as powerful (and more) as honoring Advent, and often enhances the effect of Easter. Through Lent, we reflect upon and honor how Christ was tempted by Satan and overcame. This fact is critically important to us as Christians. During Lent, we commemorate this experience, but we also consider the entirety of Christ’s life and what He did for us. We also reflect upon our own frailty. At times we may fall to the mistaken idea that we somehow orchestrate and work to achieve our own salvation. But we can do nothing apart from Jesus, and only in Him can we have hope. 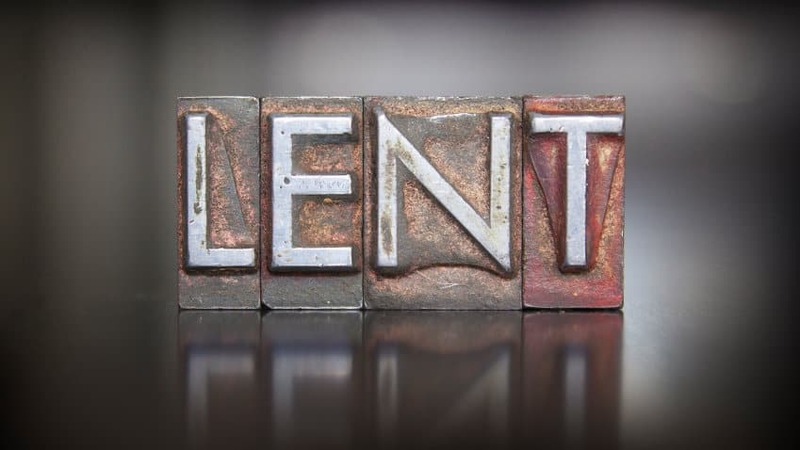 Considering this, the season of Lent is certainly not time for legalistic specifications but re-dedicating the heart attitude. Lent lasts forty days (a very Biblical number), beginning with Ash Wednesday and ending on Easter. Many practices do not count Sundays, or relax rules then. The practice of abstaining during the Lenten period dates back as early as the fourth or fifth century church. Lent was once honored to prepare for Baptism ceremonies or re-dedication. Degree of fast specifications has changed and varied widely over the years (but in the spirit of things participation should be prayerfully considered on a personal level). The day before Ash Wednesday is known as Mardi Gras or “Fat Tuesday” because many people tended to consume all of their extra food items that would soon be off limits. Many people commemorate the season with abstinence of some sort, choosing some sort of favorite item to give up for the forty-day period. This can be a great way to consider and appreciate the work of Christ, and there are many things (food, habits, etc.) we might want to give up or to encourage our youngsters to abandon. However, it can be just as effective (and even more so) to consider taking on something extra. Perhaps your Sunday school class or youth group decides to adopt a missionary or support an overseas child with prayer or other means. Or maybe there are service opportunities you can sign up to perform. On a personal level, though, and with students, it is beneficial to take on spiritual disciplines, dedicating attention to prayer, Bible study, or deeply reflective contemplation. Whatever you opt to do, make certain the attitude and motivation come from deepening understanding of God, rather than just following rules. These principles are important at any age, child and adult alike! Tony Kummer (Editor) reviewed & updated this page on : February 28, 2019 at 7:42 pm. All our content is peer reviewed by our readers, simply leave a comment on any post suggest an update.